France just passed a trailblazing new law that requires that all new buildings constructed in commercial areas to be partially-covered by either solar panels or green roofs. Not only will this bring dramatic changes to the nation’s skylines and bolster the efficiency of all new commercial construction, but the law will help France pick up the pace the solar adoption—which has lagged behind other European nations in recent years. 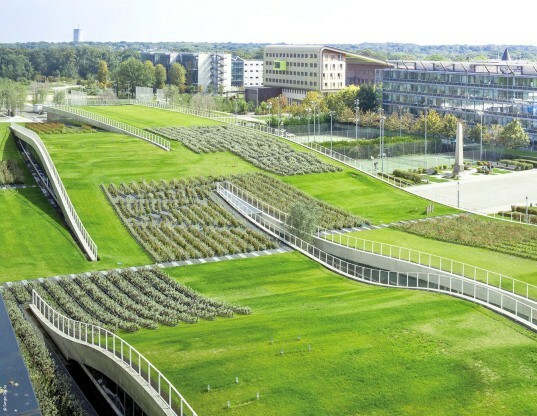 Environmental groups in France had called for a more stringent version of the law, one which would have required new commercial construction to have complete green roof coverage. Instead, lawmakers opted to give developers the option of topping buildings with either partial green roofs or solar panels. 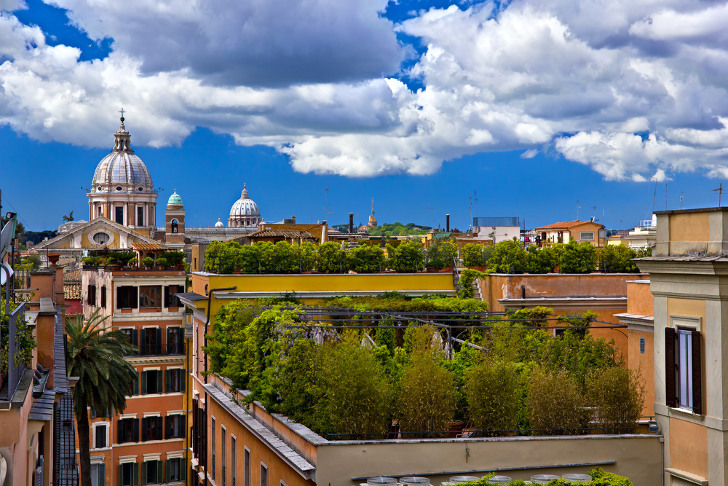 Green roofs—which top buildings with plants and shrubbery—help to absorb rainwater and reduce runoff, provide green spaces in otherwise developed, urban areas and can also play a significant role in reducing urban “heat island” effect. This phenomenon occurs when urban areas are built up, with greenery destroyed and then retain heat, causing large cities to be 1.8°F to 5.4°F warmer than surrounding areas in the day, and 22°F warmer at night, according to the EPA. The option provided by lawmakers to install solar panels rather than green roofs may also help France catch up some seriously lost group in terms of adoption of solar energy. While neighboring Germany has made huge strides in developing its solar capacity, Think Progress reports that France had only five gigawatts of photovoltaics installed as of last summer, accounting for one percent of all energy production. Here’s hoping that other nations can soon follow suit. It will also raise the cost of all new buildings built. Meaning less new buildings built, and more renovations of older buildings. Another victory for communist France. France just passed a trailblazing new law that requires that all new buildings constructed in commercial areas to be partially-covered by either solar panels or green roofs. Not only will this bring dramatic changes to the nation's skylines and bolster the efficiency of all new commercial construction, but the law will help France pick up the pace the solar adoption—which has lagged behind other European nations in recent years.